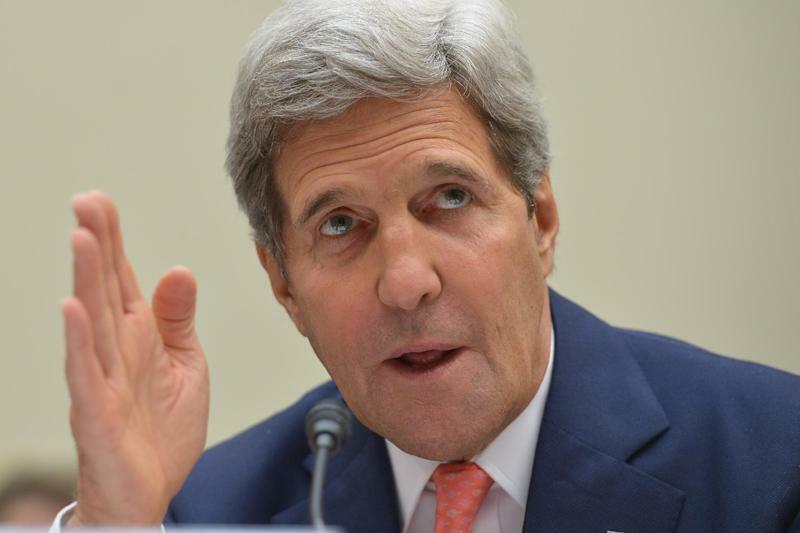 Washington (AFP) - US Secretary of State John Kerry on Thursday accused Syrian President Bashar al-Assad of breaking the terms of a global pact on chemical weapons by unleashing chlorine gas this year. Washington was studying ways to hold Assad to account, after the world's chemical watchdog earlier this month confirmed the systematic use of chlorine as a weapon in war-torn Syria. Assad's regime and the rebels fighting it have traded accusations of using chemical agents, including chlorine, in Syria's bloody uprising that began in March 2011. Damascus promised to hand over all its chemical arms, and tonnes of chemical agents have been destroyed by international monitors. But a mission by the Organization for the Prohibition of Chemical Weapons found "compelling confirmation" that a toxic chemical was used "systematically and repeatedly" as a weapon in villages in northern Syria earlier this year. Syria did not have to declare its stockpile of chlorine -- a weak toxic agent that can be considered a chemical weapon if used offensively -- as part of the disarmament deal agreed last year because it is widely used for commercial and domestic purposes. All of Syria's declared stockpile of dangerous chemicals has either been destroyed in country or exported for destruction as part of a deal agreed a year ago in a bid to head off US-backed air strikes on the Syrian regime following a deadly chemical attack in Damascus in August 2013.